It’s the first weekend in October and, with rain in the local morning forecast, I set out to find the nation’s classic fall traditions. The farms that are packed with families willing to drive an hour because that’s where they’ve always gone. The cider mills that are cranking out the fresh apple cider and donuts that you will be hankering for every fall for the next thirty years. The locations that draw giant pumpkin farmers and guests from across the region to see who has the heaviest pumpkin. From farms which could be best characterized as amusement parks, to classic working farms and apple orchards with u-pick apples and pumpkins, to a country store with a hayride that has built a loyal following, these 25 farms, apple orchards and cider mills are favorite fall destinations for thousands of guests every year. If you got up early this morning and headed to Vala’s, you could have had from-scratch buttermilk and pumpkin pancakes. Is there a better way to start the morning? I don’t think so! 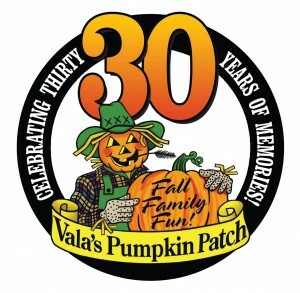 Started in 1984, it’s grown into a 212 acre fall festival that one online reviewer called the “Disneyland of Pumpkin Patches”.. Thousands of Omaha and Lincoln residents descend every fall on Gretna, population ~ 5,000, to pick out their pumpkin and have fun at the 60+ activities around the farm. That’s plenty of activities, from the Pumpkin Creek railroad to pig races and pumpkin chunkin’, to keep kids of all ages entertained. They have all your fall favorites, from hand-dipped caramel apples to warm chocolate chip cookies and pie. And true to their roots, they grow 55 acres of pumpkins and squash every year. Visit their website for more information or get the latest updates on Facebook. This seven-generation, working family farm opened its doors to visitors in 1996 and has proven a hit among families. Davis Mega Maze was named by CNN one of the 7 coolest mazes in the world! Want to get frightened before Halloween? Take on the maze during Fright Nights the last three weekends of October. 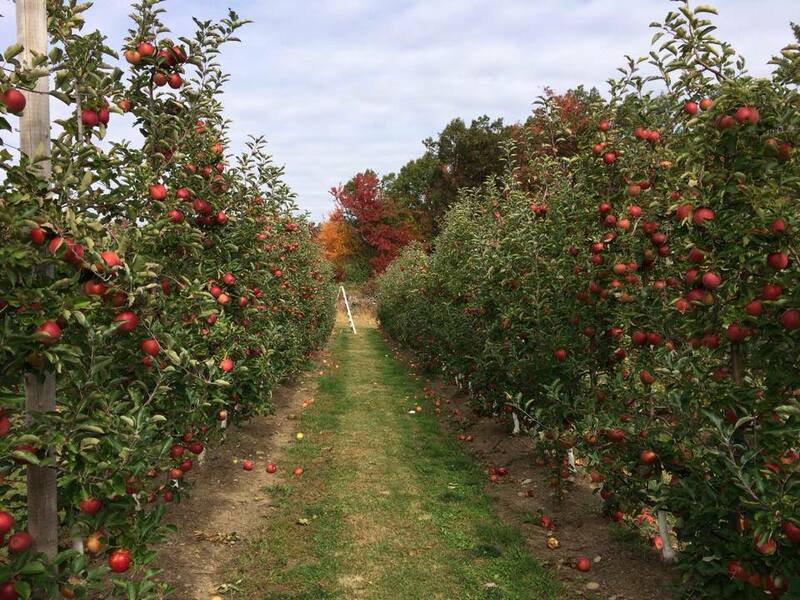 Add in pick your own apples and pumpkins for those who want to enjoy fall west of Boston. For those members of your family that don’t care about farm fun, there’s outdoor activities like laser tag and a zip line to keep them occupied. If you have kids in the Boston area, take note! Davis Family Farm in Sterling (25 minutes north of Worcester) will have Anna and Elsa from Frozen there tomorrow (Sunday, October 5th). They were supposed to be there today as well for Pirate and Princess Weekend, but Mother Nature intervened and they had to close the farm. That’s farming though and part of the charm! Learn more on their website or stay up to date on Facebook. This Metro Detroit fall classic made the list even though it isn’t technically a farm. The exception is definitely warranted. 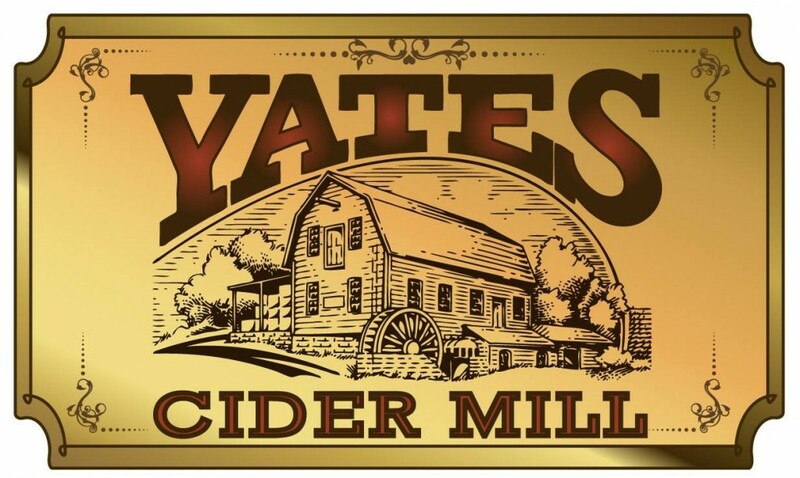 Located in Rochester Hills along the Clinton River, it dates back to 1863 when it was known as Yates Grist Mill. Cider, donuts and a stroll along the river are the staples that have been bringing families back for years. In recent years, they’ve added a petting zoo, pony rides and diversified the food and bakery selection. They’ve been making cider for Michiganders for more than 100 years. Want to give it a try? You can order online and they will ship it! Check out their website or get the latest updates on Facebook. If you are going to spend a full day on the farm, you need fantastic food to keep your energy up. And Bengston’s Pumpkin Farm doesn’t disappoint, with Uncle Bub’s cooking up its award winning, Food Network featured, bbq for guests of the farm in October. The eats & treats, which will include apple cider donuts in 2014 because of customer demand, aren’t the only reason to visit their pumpkinfest just 45 minutes outside Chicago. 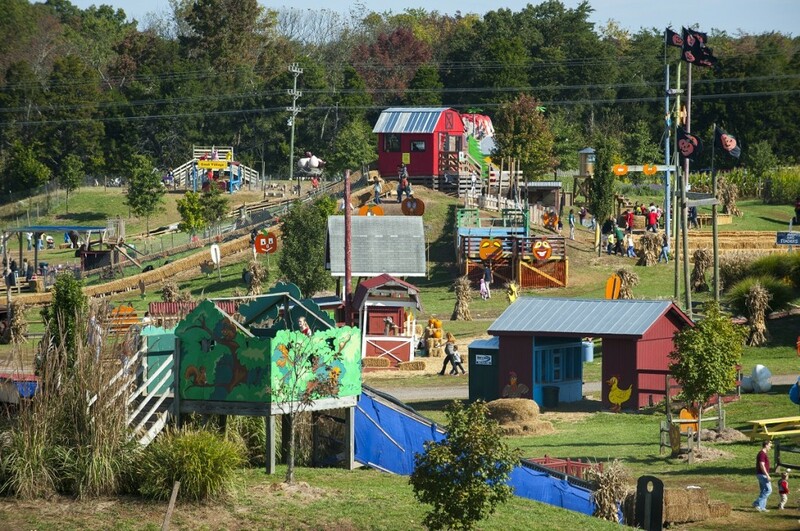 The farm fun includes a three acre corn maze, simulated cow milking, pig races, petting zoo, hayrides and even a mega slide. 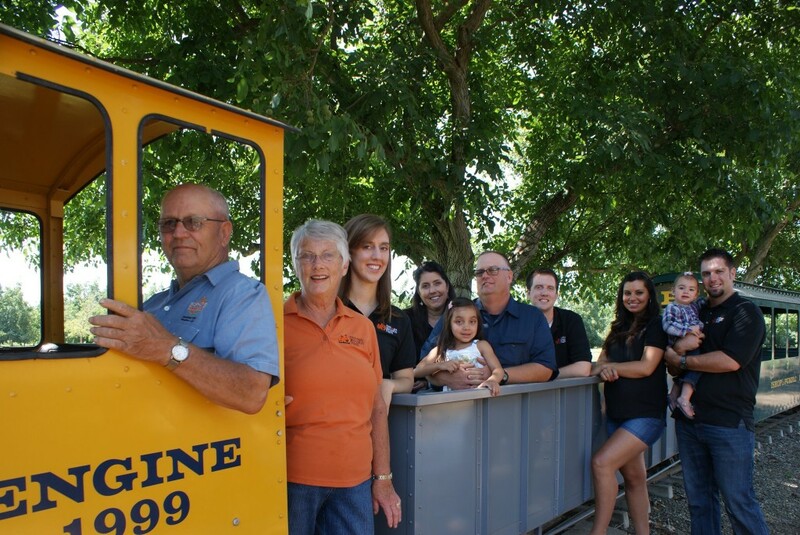 The farm has been family owned and operated for more than 30 years. Visit their website to learn more or follow them on Facebook. 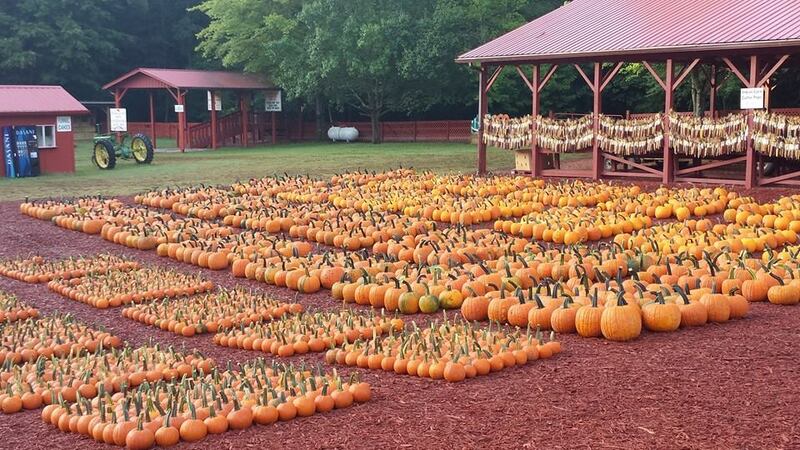 Thousands of Atlanta residents make the one hour trek into the North Georgia mountains in the fall and stop in Dawsonville, population 619, to buy their pumpkin and baked goods from this 50+ acre pumpkin farm and country store. Unfortunately, they don’t allow you to pick your own from the field (they are prepicked in the barnyard), but you can still enjoy a hayride daily in October. Amicalola Falls, the tallest cascading waterfall in the Southeast at a drop of 729 feet, is around the corner. And make it a day by continuing on to Buck’s Corn Maze, a 12 acre cornfield also located in Dawsonville. Keep your eyes open on the drive to Burt’s too, because you’ll be able to see 30 acres of sunflowers in bloom. For additional information, visit their website or Facebook. 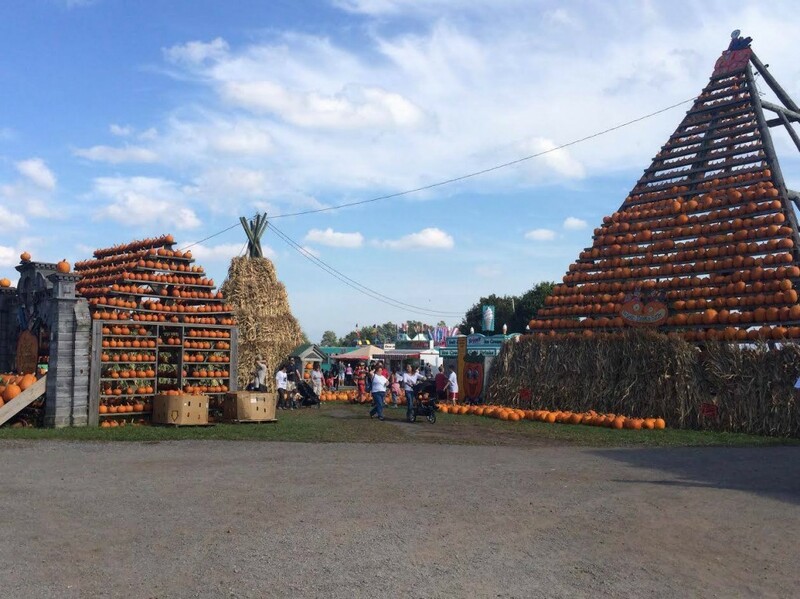 Want to see a bunch of giant pumpkins? 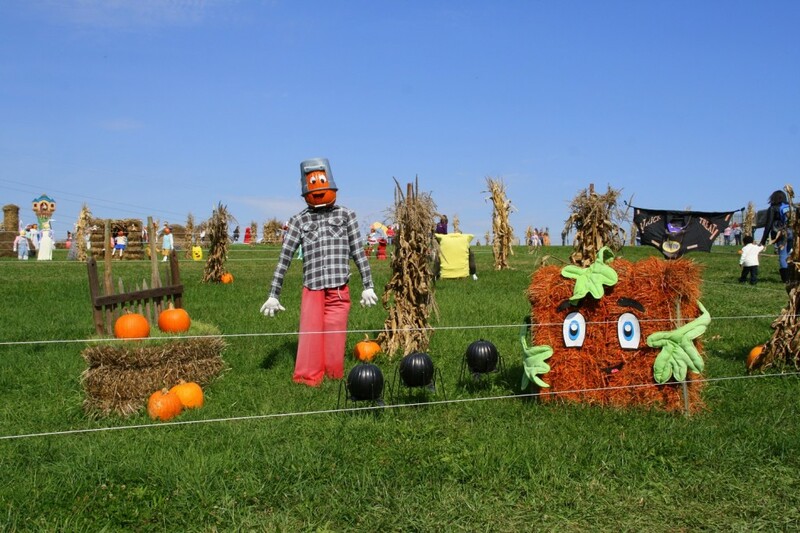 Then The Great Pumpkin Farm in Clarence, NY is for you. This weekend, on October 5th, they will have the World Pumpkin Weigh-Off that will pay $10,000 for a world record pumpkin. Last year, there were seven pumpkins weighing over 1,000 pounds! According to Wikipedia, the population of Clarence, located 30 minutes northeast of downtown Buffalo, was 30,624 in the 2010 census. The Facebook page for this farm, however, has more than 40,000 likes. As a law school graduate, my math skills have always been suspect. But even I can tell you that means the place is popular. With fun competitions like the Pumpkin Olympics, Trebuchet Contest, and a Costume Contest taking place on the weekends, there’s probably a reason. 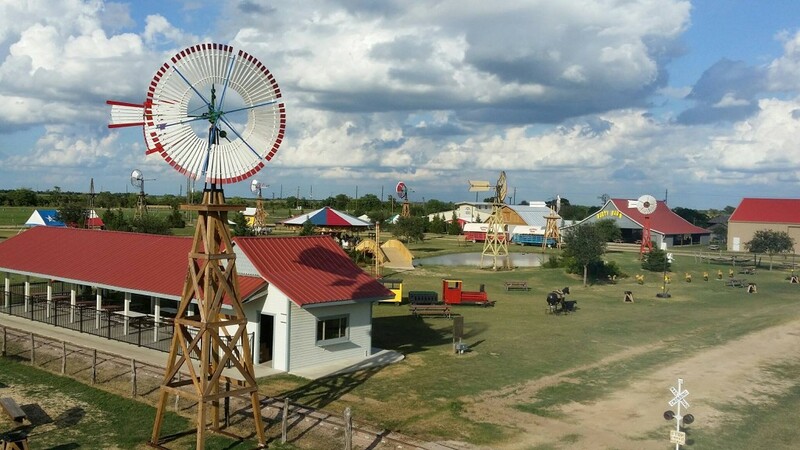 A corn maze, petting zoo, hayride, haunted house and amusement rides also await your family’s visit. Their website says they have a zillion pumpkins. I’m not sure that I believe them, but the pyramid of pumpkins looks frighteningly big. There is a $5 per person admission on weekends with an additional cost for individual attractions. If only they had a pick-your-own patch and made their own cider! Oh well. Did I mention they have a lot of big pumpkins? Visit their website to learn more or get updates on Facebook. Forty acres of apple trees for pick your own apples less than an hour southeast of downtown Chicago? Now that’s worth crossing state lines for! 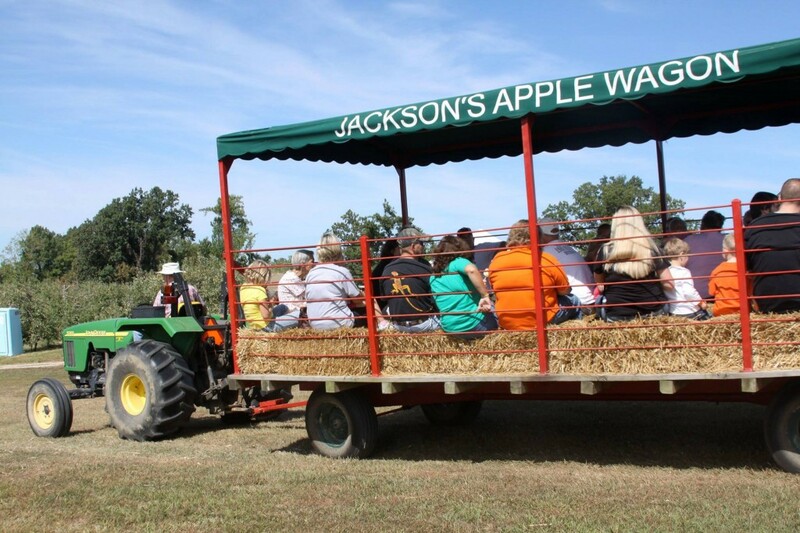 Wagon rides, corn maze, barnyard tunes, and a bakery making 10,000 donuts every day add to the appeal of this Indiana apple orchard. You know how you know the donuts are pretty good? There are only two varieties listed on their website: an apple spiced donut dusted in cinnamon and sugar or a pumpkin spiced donut glazed with pumpkin frosting. They both sound delicious and definitely worthy of their billing as “something of a local legend.” They even have u-pick pumpkins in the field. Their website has additional information or get updates on Facebook. Thirty minutes north of Peoria, you can catch a covered wagon ride out to a 11,000 tree u-pick apple orchard and 20 acre pumpkin patch. 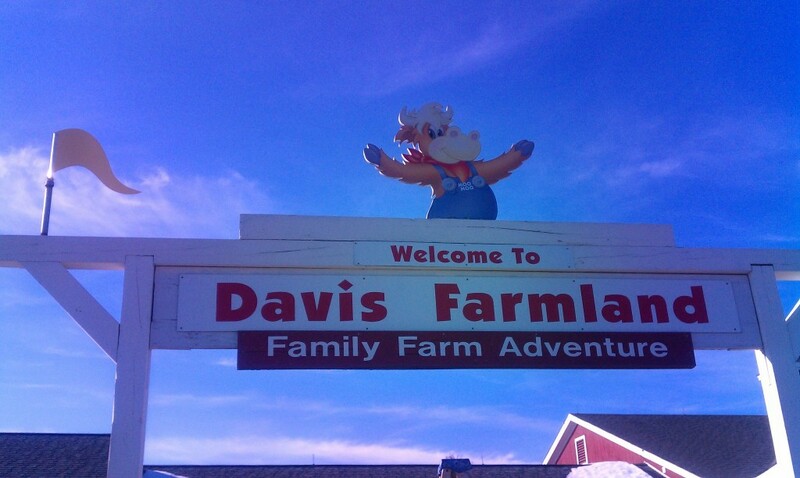 Family owned and operated since 1947, they’ve also got a corn maze, farm animals, bakery and Back 40 Fun Acres. Visit their website to learn more or stay up to date on Facebook. Who has the largest jumping pillow in Ohio? America’s Longest Slide at 311 feet? Why, Pumpkin Village at Mapleside Farms south of Cleveland. But these probably aren’t its best features. It received top honors from Choose Outdoors as “America’s Most Beautiful Farm”. Adults can enjoy a drink at the Cider House bar, select a few bottles at the Wine Loft, or enjoy a rustic dining experience at the Orchard House. Kids will enjoy the best Playground in Cleveland according to Cleveland Scene Magazine. As if you needed more reasons to swing by this fall, they also have a pumpkin patch, corn maze and hayrides. And they finish the season off in November with pumpkin smash weekend. Visit their website or Facebook to learn more. This farm in Southwest OKC has been a tradition in Oklahoma for many years. They spent nearly $2 million last year to rebuild the farm after much of it was destroyed by a May 2013 tornado – so show them some love! They’ve de-mangled the carousel, replanted the pumpkins in the pumpkin patch, and even got a Spookley the Square pumpkin corn maze for kids (and adults) to enjoy.It was voted by Metro Family readers (an Oklahoma City parenting magazine) as the best pumpkin patch in its 2014 family favorites competition. Save the farm from the undead with zombie apocalypse paintball in the evening, too. Visit their website for additional information or stay up to date by following them on Facebook. USA Today named Tougas one of the top 10 pick your own apple orchards in the nation a few years back. Prefer pumpkin picking, playgrounds, barnyard animals and farm baked goods to apple picking? They have these staples of fall farm fun too! The farm has been family owned and operated for more than 30 years, since it was purchased by owners Maurice and Phyllis Tougas in 1981. Visit their website to learn more or stay up to date about what’s going on at their Facebook page. 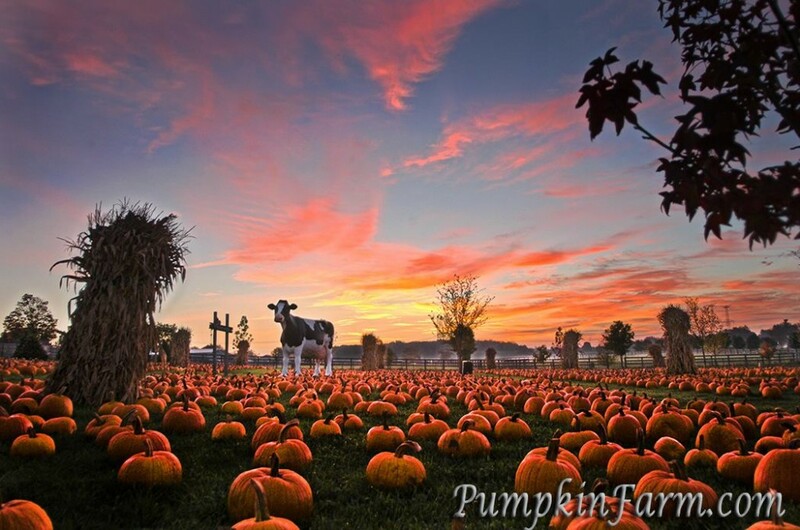 Pumpkin ice cream, apple cider slush and a day on a farm? Sign me up. Johnson’s Corner Farm lies east of Cherry Hill in the Greater Philadelphia region. They have hayrides, apple picking and a pumpkin patch. Started as a flat wagon selling produce on the corner of Church and Hartford Roads in the 1950s. It has grown into a farm market and u-pick area that is loved by families every fall. Their website has additional info or check them out on Facebook. USA Today called Cox Farms one of the country’s coolest pumpkin patches this year. And there’s a reason. Located just west of Fairfax in Northern Virginia, it’s one of the closest agritainment experiences to Washington, D.C. residents. Hayrides, farm animals, cider, donuts and caramel apples? Yep, they have all the fall festival favorites. Want to do a moonlit hayride, get scared in the cornfield or tackle the torch-lit giant slide? You can do that too at their Fields of Fear. Get the details on their website or Facebook page. Have you ever taken a stroll past 500 lit jack-o-lanterns? You can do that in the Pumpkin Hollar at Dewberry Farms, a 100 acre farm located west of Houston established in 2002. There’s an 8 acre corn maze, children’s play area and country store with baked goods and “straight from the hive” unpasteurized honey from their own bees. A one mile train ride and pedal karts are two more of the 35+ activities. This year, they’ve added eight restored antique windmills. Visit their website to learn more or stay up to date on their Facebook page. Every year, thousands of Arizona residents pile into the car to make the one hour road trip east of Tucson, through the beautiful Southern Arizona countryside, to one of the best u-pick apple orchards and fruit farms in the Southwest United States. 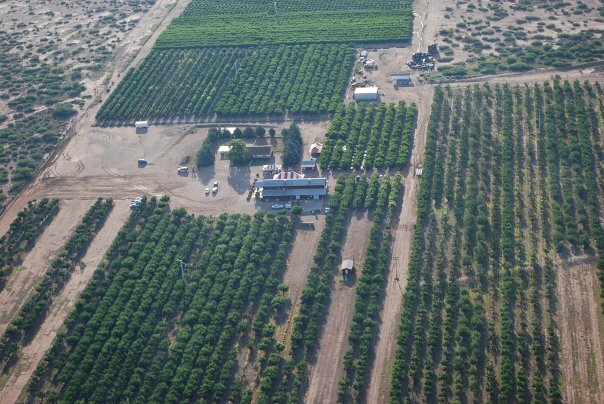 Willcox, population 3700, is home to 25+ year old family farming operation of John and Annie Holcomb known as Apple Annie’s Orchard. The fruits and vegetables may be the draw, but the food gets rave reviews as well. All-You-Can-Eat pancake breakfast on weekend mornings? Sign me up! Pick a pumpkin out of the huge pumpkin patch or get lost in the corn maze with three levels of difficulty to ensure that it’s perfect for your family. Check out their website to learn more or follow them on Facebook to stay up to date. 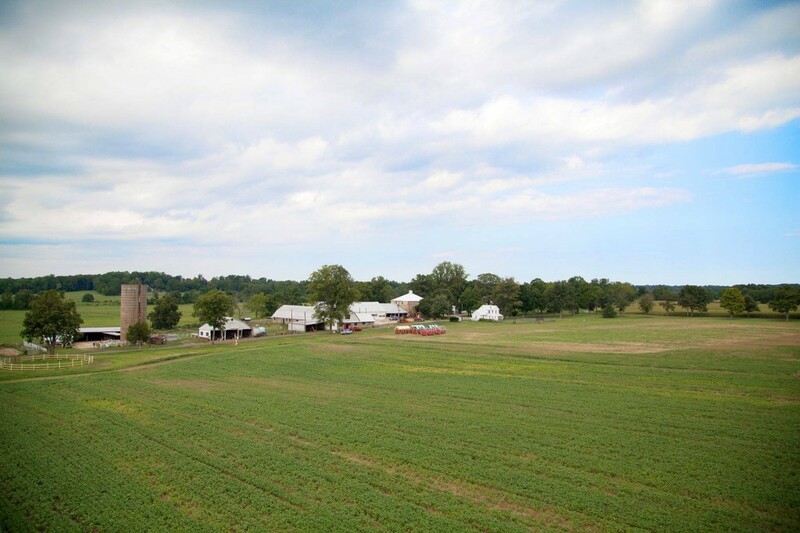 This farm northeast of Philadelphia was founded more than 100 years ago and is now being run by the fourth generation of the Fleming family. It has been named one of the top 10 pumpkin patches in America by MSN and one of the top 13 scream parks by Haunt World. 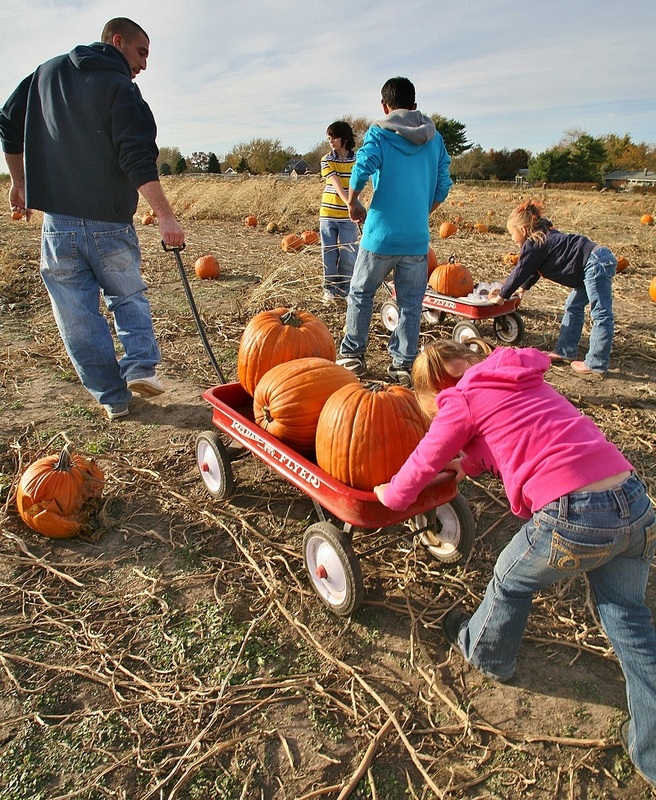 Start in the morning at PumpkinFest, where you can pick your own pumpkin, get lost in their corn maze, take a wagon ride and enjoy other farm fun. Stay for the evening with HorrorFest or PumpkinFest in the Dark. There’s four haunted attractions at this Bucks County farm. Get scared at the Hayride of Horror, Barn of Horror, Carnage Corn Maze and 3-D Alien Encounter. 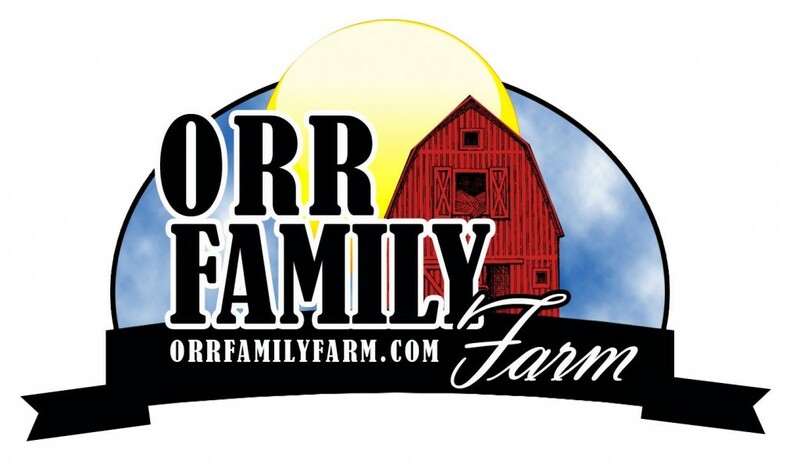 Visit their website to learn more or stay up to date with what’s happening on the farm via Facebook. Enjoy fresh cider and homemade donuts thirty minutes north of Lansing at Uncle John’s, a fifth generation family farm. In an old cattle barn converted into a cider press, their cider is made the old fashioned way, with no additives, preservatives, or pasteurization. They also have a five acre corn maze, PYO pumpkin patch, wagon rides and kid’s play area. While you are there, be sure to stop by their tasting room for wine and hard cider, which has received rave reviews online. Visit their website or Facebook page for additional information. Most popular farms sit a short drive outside a major city. 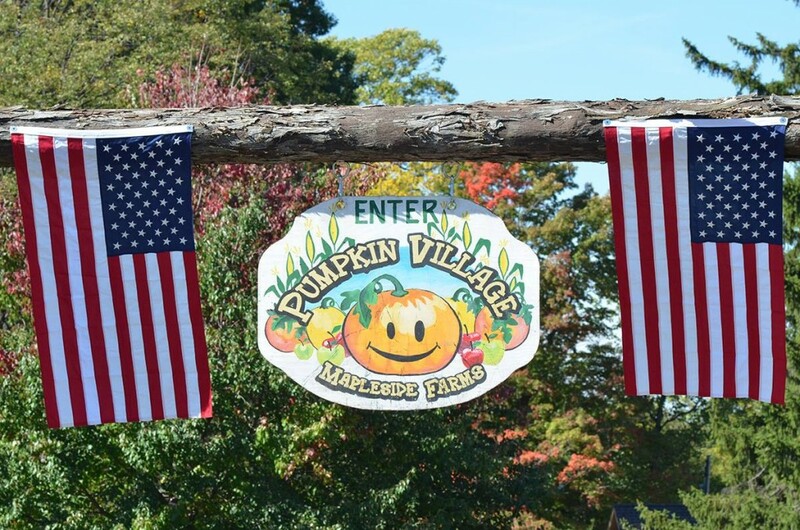 Pumpkinville is located in Great Valley, NY, population 1,947. Great Valley, before you check your map, is one hour south of Buffalo and 90 miles east of Erie, NY. But if you make the drive to this 200 acre farm in the hills of Western NY, you get the opportunity to visit New York’s oldest continuously operating working pumpkin farm. Open every single day in October – you have 31 chances to visit Pumpkinville. Enjoy the fresh milled cider from their 120 year old cider press. Find your way through the six acre corn maze. Take a helicopter ride on weekends to view the beautiful fall colors. Or enjoy the rest that the farm has to offer, and pick up a pumpkin to take home and carve. Did I mention that you can get in free and only pay per activity or buy an all day activity wristband? Sounds like it’s time to make a trip to Great Valley! Visit their website to learn more or stay up to date on Facebook. An hour north of Nashville in Bowling Green, Kentucky, the land for this 105 acre farm has been producing apples for over 100 years. It has been owned by Bill and Shirley Jackson for nearly 50 years. This year, they’ve decided to allow pick-your-own apples in addition to their classic u-pick pumpkins, corn maze, hayride and other fall fun. The pumpkin festival is on weekends for the month of October. No admission fees to get in and no parking fees? Don’t miss it if you are in the area! Get more details on their website or learn more on Facebook. Growing up in Michigan, I always imagined that the Southwest United States was a bit of a barren desert without camels. Not true! As I came to find out when I started Funtober, there’s fall farm fun to be had across the country. One shining example is McCall’s. This pick your own pumpkin patch located thirty minutes east of Albuquerque rivals the popular ones of the Midwest. Take a hayride to the patch. 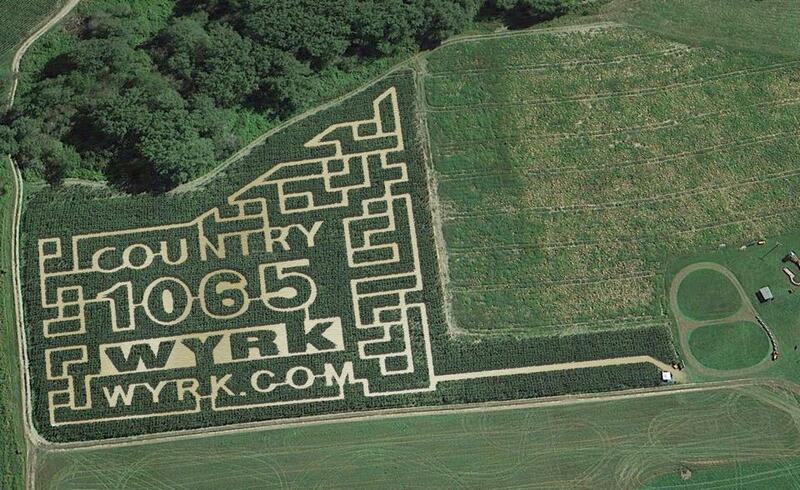 Get lost in their 16 acre corn maze. And take your kids down the Wee Wild West for fun. At night, it gets pretty scary. McCall’s transforms into a haunted farm with three terrifying attractions – a haunted cornfield, barn and zombie hunt. The people of Albuquerque must love it because the website warns of three or four hour wait times on their busiest nights! It opens on Friday, so get your tickets. Visit their website for additional details or support them on Facebook. When you are in the mood for cider and donuts in central Illinois, there’s a place in Champaign that will more than satisfy your craving. They are only 15 minutes from the University of Illinois at Urbana-Champaign, and a quick 2 hour drive from Indianapolis and Chicago. With a u-pick apple orchard and pumpkin patch, you’ll be able to burn off some of the calories from their bakery. They aren’t organic, but say they are as close as possible for the region. They’ve reduced their pesticide usage over the past 15 years. Hopefully, additional advancements will lead to pesticide-free techniques to control the few pests which they still must spray for when they show up. The Curtis family has been living in the area since 1873, watching the land transform from prairie to farmland to apple orchard. Paul and Joyce Curtis planted their first apple tree here in 1977. The orchard is now owned by their daughter Debbie and her husband, Randy Graham. Visit their website to learn more or get updates about the farm on Facebook. There’s tons of worthy farms in California – but this is the one that made the list this year! It’s a favorite of teachers for school trips on weekdays and families on the weekend. Online reviews indicate that almost everyone has been coming here for years. For 2014, they’ve made a bunch of improvements. They added a carousel! There’s a new space dedicated to chocolate chip cookies called Babe’s Cookieactory. And they recognized that the lines at the bakery can get long – so they are now offering online pre-ordering so that they will be ready for your arrival. They still have the classics that have made them so popular. Friday and Saturday pig races in October at the Porko Arena. 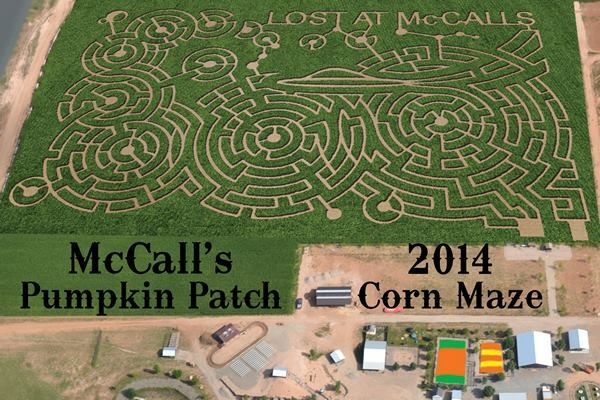 A corn maze that highlights deserving local charities. Hayrides to the 72 acres of pumpkin fields. And enough delicious food and baked goods to feed an entire farm of people! It is located just north of Sacramento. Visit their website to learn more or stay up to date on Facebook. Just 15 miles outside of Pittsburgh, there’s a pick-your-own farm offering the ability to pick fruit from May through October. Starting the year with strawberries and raspberries, they offer apple and pumpkin picking on weekends in September and October. They have the standard farm fare of course, with hayrides, farm animals and a playground for kids. But they offer so much more. This weekend, for $20 (with RSVP), they are offering Build-Your-Own Scarecrow with everything included for just $20. It’s also Spookley, the Square Pumpkin Weekend (October 4th & 5th)! Take a walk through Storybook Pumpkinland, with 250 pumpkin-headed characters from nursery rhymes and children’s, too. We’re sure they have more fun planned for the rest of October if you can’t make it this weekend, when it will be action-packed! Learn more on their website or get updates on Facebook. 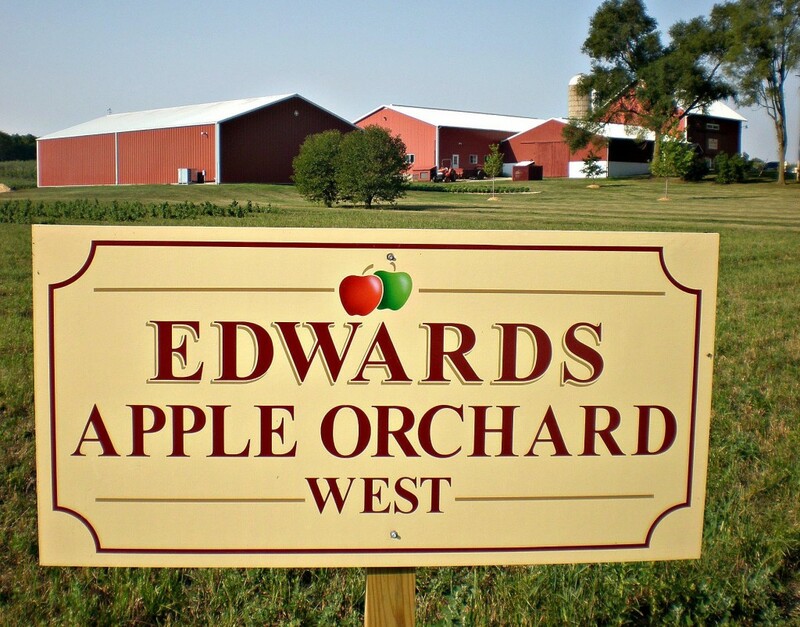 Edwards Apple Orchard is a family owned orchard in Poplar Grove. Edwards West is the smaller, Winnebago location that has been operating since 1990. They are situated on opposite sides of Rockford, two hours northwest of Chicago With fresh pressed apple cider, cider donuts, apple and pumpkin picking, it doesn’t have the same amusement park atmosphere that has become popular with some farms as they have grown. To learn more about Edwards West, visit their website or stay up to date on their Facebook page. As soon as I hit publish, someone pointed out that I missed an amazing farm. And when I looked back at it, they were right. A quick search revealed two other orchards just like it. So here are the four that should have been included on the first pass of the list. 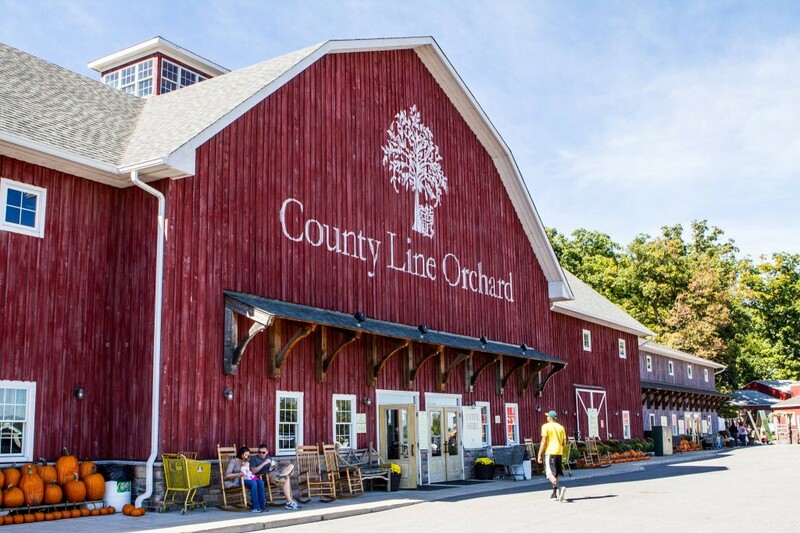 Linvilla Orchards – Media, PA. One of my personal farm favorites is this huge activity farm located near Philadelphia. They have both pick your own and farm store fruits and vegetables. While they do not have a true in the field pumpkin patch you will find more pumpkins of all shapes and sizes in one place than just about anywhere else on earth. I visited last October and there were close to a thousand cars in their various parking lots. They had perhaps 20 concession stands, a garden center store, ice cream shop, bakery, and all that is before you get to the farm fun. They have everything for the family in The Barnyard and Playland Playground areas. Take a train ride, enjoy mini golf, take a pony ride, explore The Planet museum. Their big event is Pumpkinland which runs from the second weekend in September through around November 7th. It is full of pumpkins, apple picking, decorations, toys, corn mazes, hayrides, and huge crowds of people. I am missing so much but let me say this is the one place you do not want to miss. Their address is 137 W. Knowlton Road, Media, PA 19063. It is about 21 miles southwest of downtown Philadelphia near Chester. 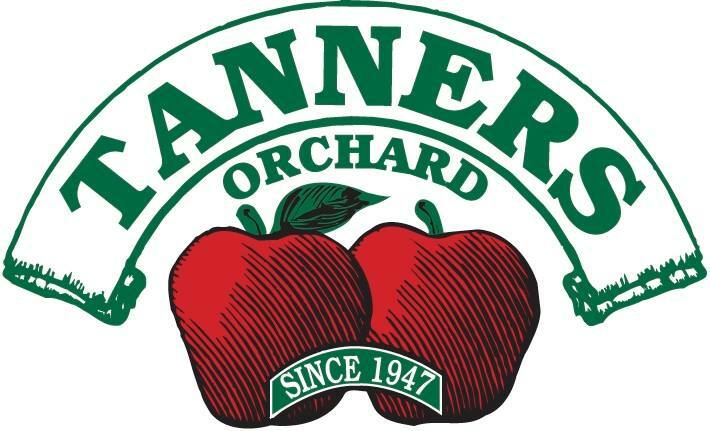 A fourth generation family owned and operated apple orchard now offering pick your own apples. Get updates on their Facebook page or learn more on their website. This central Connecticut farm was started in 1741 by John and Hope Lyman. Now in its ninth generation of the Lyman family, it is now known for its PYO apples and pumpkins as well as its baked pies. Check out their website and Facebook page. Open for the 2014 Season from October 3rd until Nov 1. Closed Sundays. General admission is $9.95-11.95 which includes all non-haunted attractions. This is the corn maze of Brett and Nicole Herbst, who have been cutting at farms across the country under the name of their company, The Maize. Past themes have featured Rivals Forever: Utah vs BYU (2013),Vote 2012 – Pick Your Prez! (2012) and Exploring Space (2011). Their original location at American Fork was the largest in the Western United States at one time. At night, there is a separate haunted maze and other haunted attractions here. Screamn’ tickets are $19.95. There’s lots of other fall fun here, including pig races, slides, a pumpkin courtyard, zip line and cow train. Feel free to let me know if I’ve missed other amazing farms! This entry was posted in Corn Maze, Pumpkins, Slider Halloween Fun. Bookmark the permalink. My name is Robert Melton and I founded Funtober in 2012. I started this website on nights and weekends while working as an Attorney. This is our fifth year and every year gets better. If you have comments, suggestions, or complaints about the site, direct them to me. Or just say hello because you are bored! What about Roloff Family Farm in Oregon from the TLC show? Hagers farm market in Shelburne mass should definitely be on this list! We love Tanner’s but also go to Eckert’s on the IL side of St Louis. Their website is http://www.eckerts.com. They have 3 locations and do more than just apples and pumpkins. They have a country store, restaurant, kid play area, and different seasonal crops for year round fun. Murray Family Farms in Bakersfield, CA is a bunch of fun at pumpkin time. I love in Peoria. Tanners is great and we go yearly but you should check out The Great Pumpkin Patch in Arthur IL off I 57 south of Champaign. It’s worth the trip! I live in Peoria. Tanners is great and we go yearly but you should check out The Great Pumpkin Patch in Arthur IL off I 57 south of Champaign. It’s worth the trip! Klackles Orchard in Greenville, Michigan. My hometown. People come from miles to pick pumpkins and apples also buy their famous homemade donuts and carmel apples, apple butter, pumpkin butter. There is a carousel, playground, music stage, pumpkin carriage rides, etc etc.